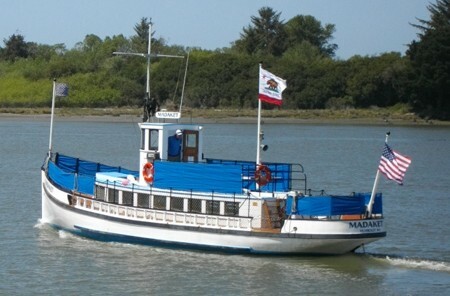 Humboldt Bay Maritime Museum's MV Madaket, launched in 1910, took her first cruise of the season today, with the full cruise season starting on May 19. 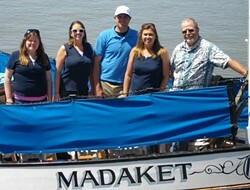 75-minute narrated cruises will run from the C Street Dock--call 445 1910 for times and details. 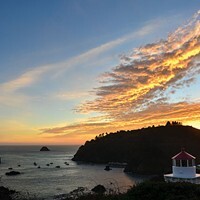 Cruises over Mother's Day weekend (May 11, 12 and 13) depart at 1.00 and 2.30 pm. 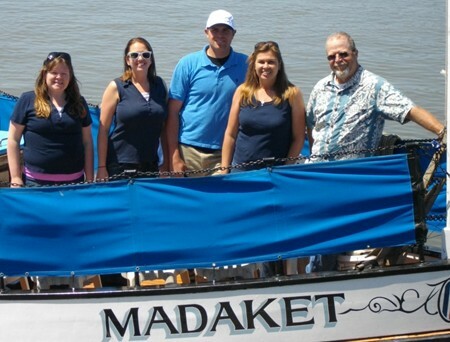 Deckhands Holly Sisson and Tiffany McKenzie; Captain Cody Hills; First Mate Dalene Zerlang; and Captain Steve Holz. Below, Capt. 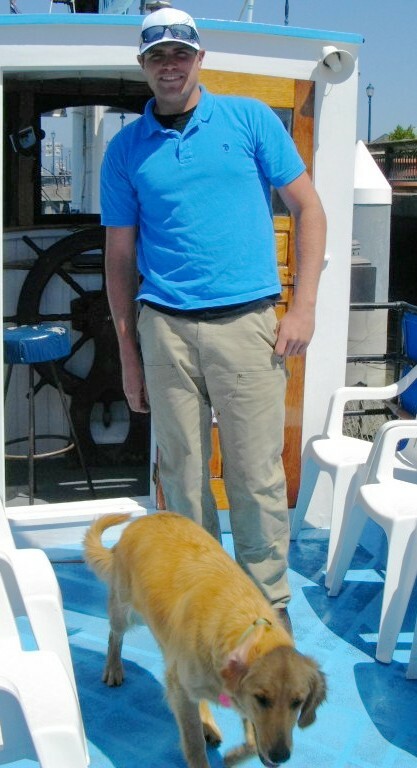 Cody with ship's dog Dixie.